I was rummaging around my runner beans, when I stumbled across an old, mottled, yellow looking bean at the bottom of the stem. It was dried up and withered, and the beans inside were protruding through the skin. Experienced gardeners will already know that the runner bean in question was simply carrying beans for next year; I did not. 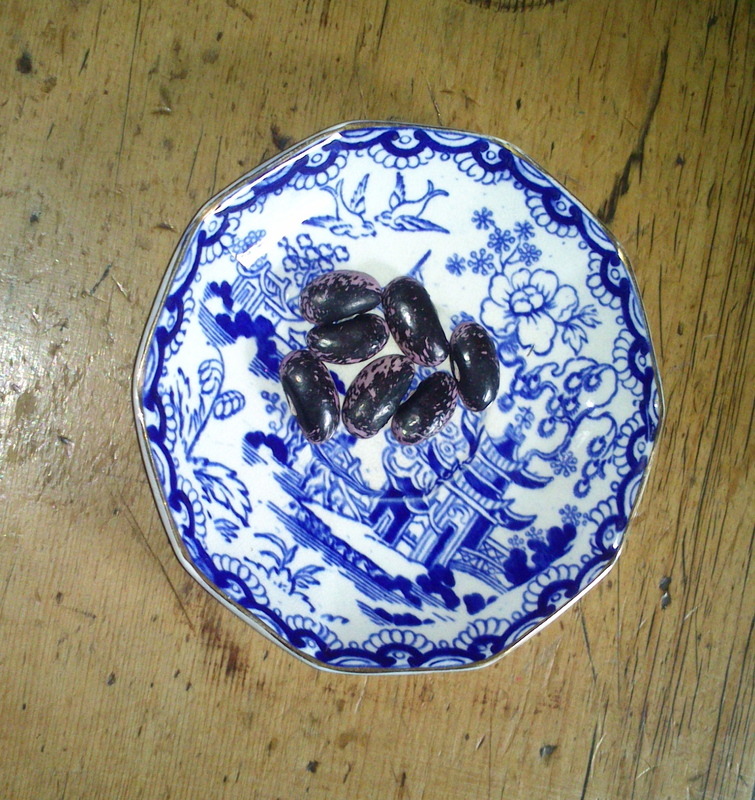 I cracked open the shell to find pink and black, glossy beans staring up at me. I felt as astonished as Jack with his magic beans! They now sit in pride of place on the Welsh dresser. Even on the wettest, slug-ridden, gardening despair days there is always a little magic to raise the spirits. Just reward for being a gardener and cherishing your garden.